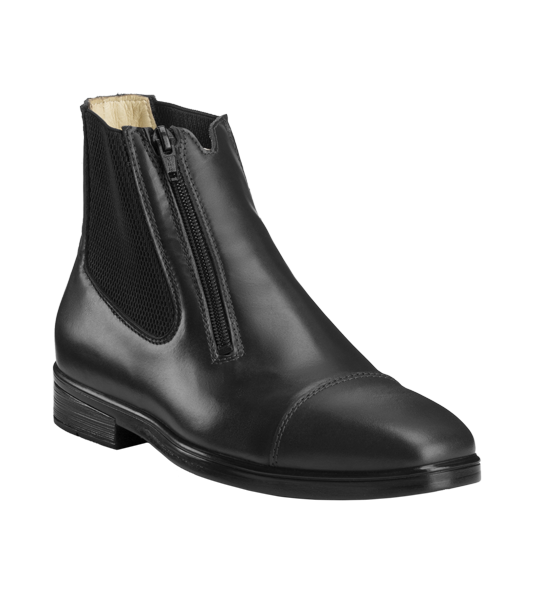 The Z1/L ankle boots are handcrafted from soft full-grain calfskin leather and internally lined in natural calfskin leather. The single side zipper closure and the double elastic insert always ensure flexibility and freedom of movement. 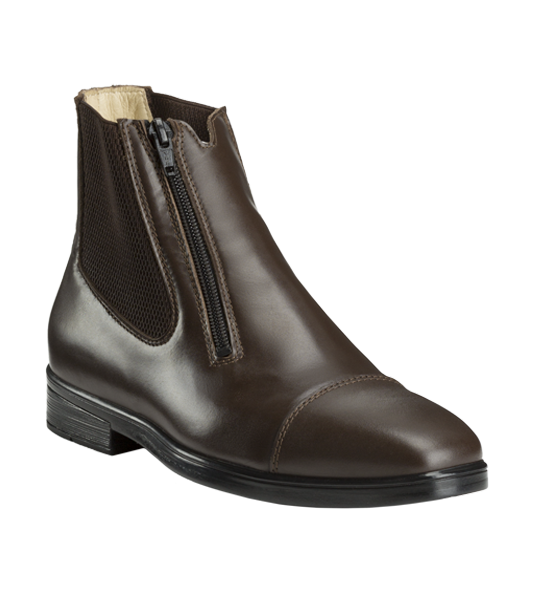 The semi-square toe design, the anatomic fousbet insole and the 100% rubber sole complete this elegant Italian craft product. Eleven EU foot sizes will provide the best fit you could hope for. Available in black or dark brown color. Perfectly shaped, it is dedicated to those who need a performing and comfortable product. 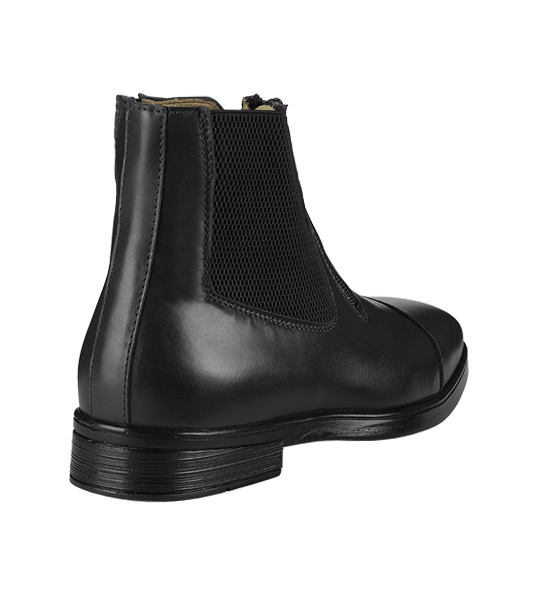 The double elastic band allows the ankle boot to dress the foot superlatively ensuring, without ever tiring, total control and mobility. 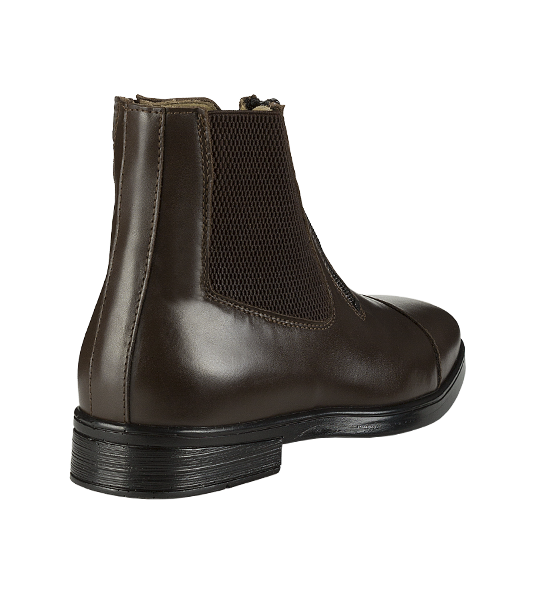 A technical sole that, made with durable 100% rubber, guarantees the right amount of flexibility dampening down all the stresses. 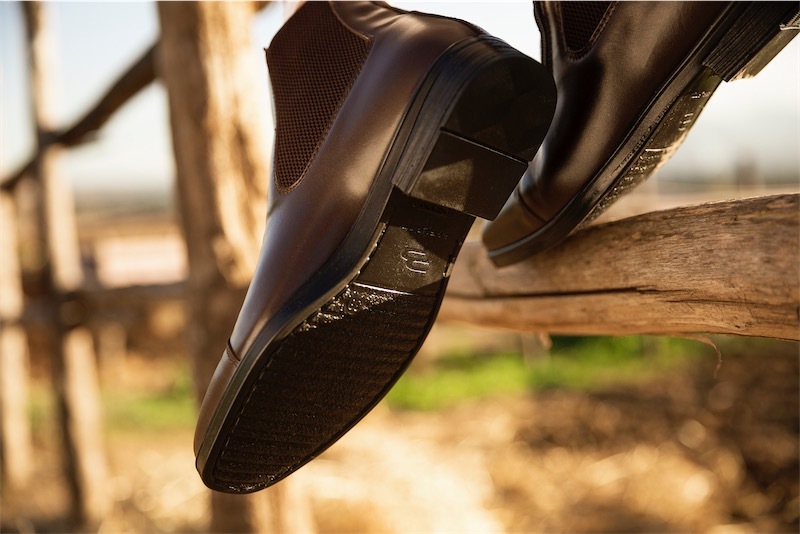 The insole is made with soft anatomic fousbet for prolonged comfort and stability.